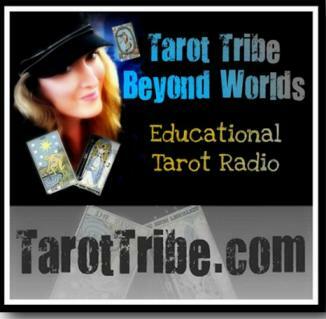 On October 2, 2010, Nancy Antenucci shared with listeners of Beyond Worlds, Your Tarot Tribe a wonderful spread she designed. That spread is shown below, and the episode with Nancy can be heard HERE. To best illustrate each of the members of this magical family, we will use the Essence spread. This spread will be helpful for it uses one card from each of the families. In the end, we will have six cards that will reflect important aspects of you (and will hopefully illustrate the various aspects of the Tarot). I will direct you in choosing cards for the spread as your read further. Transparent Tarot by Emily Carding. That deck can be purchased HERE. This spread was made beautiful by our Digital Empress, Catherine Chapman of www.TarotElements.com. Thank you, Catherine! As shown in the diagram, separate all the groupings. Place the Ace thru 10 of the Swords into one group face down to your right hand side. Place the Ace thru 10 of the Wands face down nearest to you. Place the Ace thru 10 of the Cups face down to your left hand side. Place the Ace thru 10 of the Pentacles face down furthest away from you. Place all sixteen Court cards face down to the right of center. Place all the Major Arcana face down to the left of center. During this exercise, we will not be reading reversed cards. We will interpret meanings for upside down cards later. Simply turn all cards upright when necessary for now. Once the cards are face down in their groups, ground a bit. The four elements of air, water, fire and earth are the basic cornerstones of the Tarot. Each suit which makes up the Minor Arcana (the Minor Secrets) represents a specific element. The Swords are Air, the Cups are Water, the Rods are Fire, and the Pentacles are Earth. There are four Court Cards of each suit. They represent the human traits of that particular essence much as astrology. The element of Air, of Mental and Communication skills, of new Beginnings, of the direction of East, of the season of Spring. Pick up the grouping of the swords face down. Shuffle or mix the small deck as you focus on your mind. See your mind as a huge blue sky. Every thought turns into a cloud, bird, or wind. See your very core self as separate from these thoughts. Don’t hold onto anything. As soon as you reach some neutrality, pick one card. Look at the card. Let your censor freak out…”I don’t like this card” , “I don’t understand this”, or “I can’t figure this out on my own”. What does this picture, little movie, mysterious theater truly trigger in you? Where is your eye or energy drawn to? The Sword card you see before you holds your current energy of thinking and communicating lately. Do you agree with this representation of your current mental state? If not, what is different in your opinion? Could it represent the way you have been dealing with a certain issue? Lay the chosen Sword face up on its family suit. Now pick up the group of Wands face down. Shuffle as you see wood catching fire. Focus on the fire within that ignites when you are excited or interested in life. Remember times from this life when you got lost in doing something that you love. Go to those connections when you felt a true connection to this Earth, this World, this life. Choose one card that will represent how you have been using your creative force lately. Look at the card. While you delve into the image, where are you being drawn? If you had to tell the story of this card with a beginning, middle and end…what would it be? 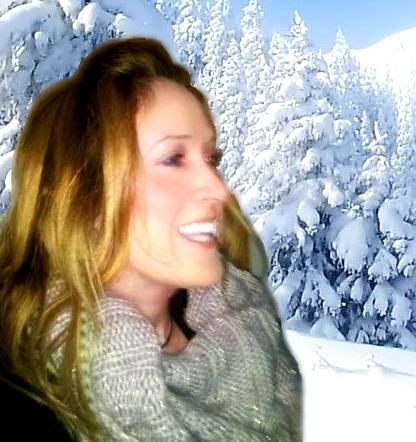 Does this story capture any truths about how you are manifesting your own creative abilities currently? Lay this card face up on its Wand family. As you shuffle the group of Cups, let your focus go to your heart. Visualize picking up a very holy cup. The cup is full of a nectar that you have been craving lately. The nectar itself has the energy of the emotion that would most nurture you. Drink from the cup. Breathe in and out. Be a quiet witness as your heart slowly unfolds the different feelings. Keep listening till you can hear the more subtle tones. Select one card once you’ve reached some level of silence. Look at this card as a nonjudgmental mirror. Have you been feeling this way lately? If it doesn’t fit the pulse of the feeling…could it be something that you’ve been avoiding or unable to sustain? Place it face up on the Cups suit. The 5 pointed Star is an old elusive symbol that represents the human body. It has been represented in modern times as shields, stones, coins, crystals, etc. All of these objects come from Earth. Our own bodies are dependent on Earth for survival. In addition, Pentacles has an ancient origin of protection and boundaries. In our culture, money (or coins) has a significant influence on our safety. Before shuffling, shift your energies to that which has been prominent for you lately…your physicality, your finances, boundaries with others?? Focus on one of those areas while you shuffle the Pentacles suit. As you shuffle, relax into your heart, your belly and your feet. Observe sensations without the need to change or fix things. After you’ve done a thorough scan of your body and sensations, choose a card. How do you feel about this card? Is there any correspondence to your real life? How does it address the area you wanted to know more about? Place the chosen Pentacle card face up on its pile. There are four different personas for each suit. If each suit is like a kingdom, the court cards are the people that live within. The court cards have many rich layers but in very general terms the court cards reflect the major essence of its suit. The Sword court cards represent people that are mental, communicative, use their heads. The Wands people are creative, fiery and love nature. The Cups are visionaries, gentle and emotive. The Pentacles are grounded, stable and gracious. All sixteen Court Cards will eventually become the palette of your understanding of humans and human nature. They contain the lessons we learn in relationship with others. They are also the mirrors of our own various psyche selves, all the roles we play. If you agree that we are spirits seeking human experience then the Court Cards are the ways we do this. In traditional ways, Court Cards were defined with great detail according to age, hair color, gender, etc. This regimented system didn’t appeal to my need to let the cards speak for themselves. I prefer to see them as organic beings and states of the human experience. Pick up and shuffle your Court Cards. Think of the people that have been influencing you lately. These can be someone that have passed over, President Bush, the bad waiter from the restaurant last night, your child, etc. Choose one card that feels like the person or your own dominate human trait lately. When you look at it, does it feel or look like you lately? If not, do you recognize them? Place your chosen Court card face up on its grouping. The Major Arcana, (the Greater Secrets) are numbered 0 thru 21 with descriptive titles such as The Fool and the Moon. These symbols represent the various forces of Nature, great spiritual lessons, faces of the Divine that we encounter in our journey of being human and spirit. As you shuffle the Major Arcana, see the different moments and events that have shaped your very life up to this present moment. Let yourself remember the loving teachers as well as the hard lessons. Gently bring your focus to your present life. Select one card that best describes the overall theme of your life lately. Look at your chosen card. If this were a living, breathing teacher looking you straight in the eyes, what would they have to say? What would you want to tell them or ask of them? 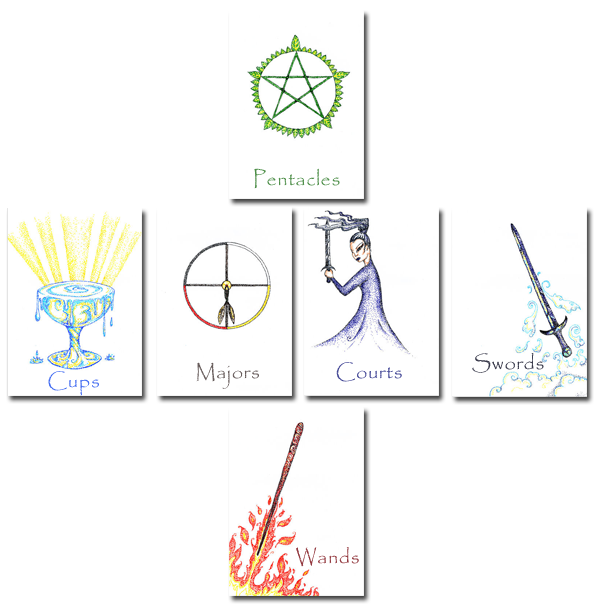 Lay the chosen Major Arcana on its group. You have now been properly introduced to all of the families of the Tarot. Look at the six cards that are face up. Let your eyes go soft. How do these six images reflect your life lately? Are there any ideas or images that disgruntle you? You are not trying to fit your reality into the reading. The point is to hear this message as if it truly were a pictorial response of the way you are in your life lately from your divine committee. The view you receive from the reading may actually be very different than the way you are seeing things. Agree to disagree but consider the alternative perspectives. The act of reading is to trigger unconscious energy for a more complete awareness. Reversed cards are usually as surprising and powerful as they are disturbing. We don’t like things upside down or backwards. For this reason, cards that show up reversed are all the more important in my book because they go against the stream. They are anti-ego! If you don’t read the reversed card as any different than if it were upright, try viewing the images as something dormant or not manifested at this time. Another layer you might try is simply interpreting the card as the opposite of its upright position. At this point though, I can tell you that reversed cards do matter and that the meaning is different than if it were upright.